A full Crescent system comes complete with starting deck and launch ramp. Some existing tracks prefer to keep things as-is, except for the gate, itself. They create an in-ground solution to “sink” the drop section on their existing starting hill. 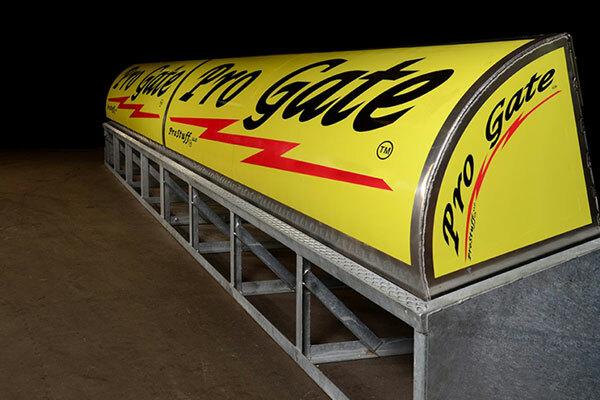 Complete with the legendary Pro Gate controls, of course.